You don’t see many of the Brugal rums here — I’ve only ever reviewed one of them, years ago when I was starting to populate the site: that one got a review, a shrug and a meh (which in retrospect may have been a touch condescending, as was my initial scoring), and I remember it principally because of its really lovely finish. The 1888 Ron Gran Reserva Familiar is something else again, and perhaps it’s sad that we don’t get to see more shops carrying it, ‘cause it’s a pretty nifty drink, and deserves its accolades. The Brugal 1888 is a fascinating synthesis of odd subtleties and traditional strengths that displays a solid character when matched against the other bottles I had on the table that day (the BBR Fiji 8 year old and the Plantation Barbados 5 year old, both of which it outclassed). Right off I admired the blue cardboard box, the elegant tall bottle and the metal tipped cork, because unlike my friend the Bear, I always did enjoy nifty presentation, and feel that special editions or top end products deserve no less even if it does mean a few extra pesos tacked on to the price (note that said Bear does not object to the extra pesos as long as he’s not forking out the dinero himself, and smiles like a cherubic Buddha whenever I do, as he helps himself to a taste). The first thing I noted on the nose of this mahogany red rum was its clean lightness, redolent of coffee grounds, cocoa and dark chocolate, vanilla (not quite as evident as the Plantation), all mixed up with light floral hints, and a touch of blue or black grapes, apricots and nuts. And a dusting of cinnamon so light it almost wasn’t there. At 40% I wasn’t expecting a rampaging series of flavours to reach out and scratch my face off, and I didn’t get that, just a pleasant, orderly parade of notes, one after the other. The medium light body was warm, but in no way overly spicy, more like a verbal dig in the ribs from a friend, spoken without malice – in fact it was smooth, and dry, but not briny or astringent in any way. Light chopped apples mixed it up with vanilla, kiwi fruits and freshly sliced papaya. And it was smooth, very nicely so, delivering further notes of white flowers, pears, some burnt sugar, caramel (not much), butterscotch wound about with a touch of oak. All in all it was a few subtle flavours coming together really well, with a clean exit, a little astringent and dry, lasting well and providing a last creamy breath of all the pleasant rum notes described above. No, it doesn’t have the growling power of darker, stronger (or older) Jamaicans or Guyanese rums, but I don’t think that’s how they envisaged it to begin with. It just was (and is) a really well put together sipping rum of some…calmness. 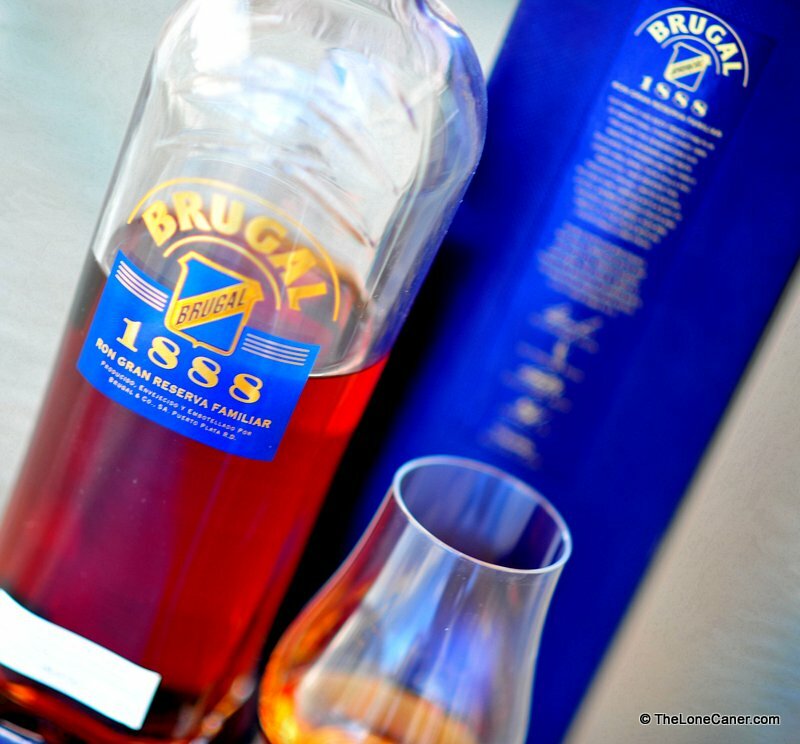 The source of its rather rich set of flavours of the Brugal 1888 derives from its double maturation, once in the standard American white oak casks that once held bourbon, the second in European oak casks once used for maturing sherry (that’s where all those fruity notes come from): if Brugal’s marketing is to be believed, McCallan’s own Master of Wood was instrumental in handpicking the casks, and the end product is a blend of rums aged five to fourteen years – that would, to purists who insist that any blend be age-labelled based on the youngest part of the blend, make it a five year old, but y’know, even if Brugal themselves make no such distinction…man, what a five year old it is. Brugal is one of the 3 B’s of the Dominican Republic (eastern half of Hispaniola island…the west is Haiti) – Brugal, Bermudez and Barcelo – and probably the largest. The company was formed in 1888 by Don Andres Brugal, and is now considering itself the #3 rum maker in the world by volume…again, if promo materials are to be believed. However, when you consider that #1 is Bacardi, #2 is probably the Tanduay, then that leaves Havana Club, Captain Morgan and McDowell scrabbling for the next three places…Brugal is somewhat of a lesser player compared to these behemoths, in my opinion, so you’ll forgive me for taking that remark with some salt. Still, sales volume and their place in the rankings is not my concern. My issue is the character of this rum from the perspective of a consumer, and which in this case I enjoyed and liked and appreciated. 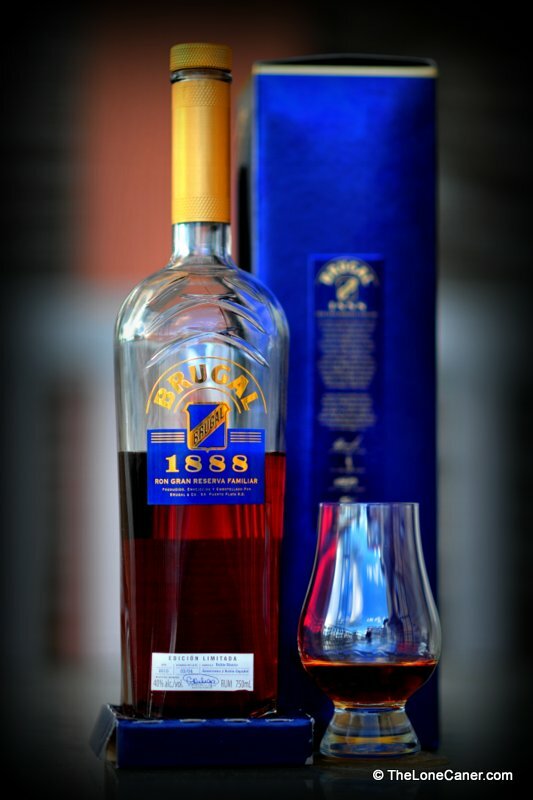 Anniversary offerings are traditionally good rums with an extra fillip of quality: the Brugal 1888 succeeds on many levels, is a good sipping rum, and a worthwhile addition to any rum lover’s cabinet. I’d buy it again without hesitation, to drink when I’m not on top of the world, perhaps (I have the full-proof Demeraras for that), but certainly when I’m feeling a little more relaxed and at ease with the state of my life. 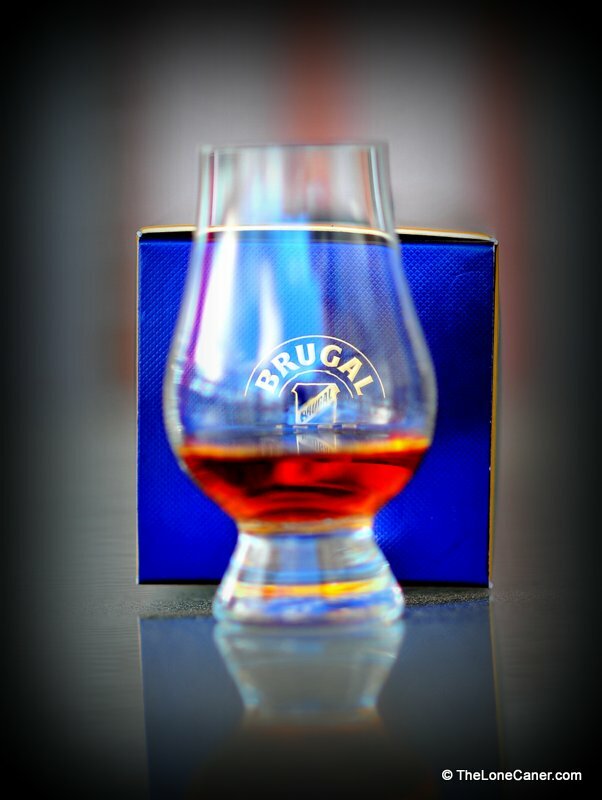 Since 2008, Brugal has been owned by the Edrington Group, the same parent company as MacCallan’s and Highland Park. That might account for the sherry maturation philosophy and the source of the barrels I noted above. The company’s literature remarks that this is a rum for whisky lovers (which I assume would be the bourbon boys, not the Hebridean maltsters).